"I am thrilled with your publication. It is a cover-to-cover read for me." Although it isn't fair to play favorites, the JOJG staff has to admit a certain fondness for Japanese koi. Known as nishiki-goi in Japanese, these large and graceful carp add a feeling of delight to any Japanese garden. JOJG runs regular articles about koi fish and koi ponds. 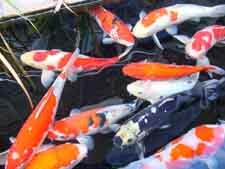 Some of the articles explain how to select and care for koi. Other articles discuss specific details about koi pond construction. There are many factors to consider when evaluating koi pond pumps, koi pond filters, and koi pond supplies. JOJG strives to provide helpful information to anyone who is interested in these beautiful creatures. KOI VARIETIES Just like plant cultivars or purebred dogs, nishiki-goi are selected for their markings and categorized into roughly a dozen varieties. These articles are about the different koi varieties and how to identify/judge them. KOI BREEDING It isn't easy to create high-quality Japanese koi. For every koi fish that makes it to the dealer's tank, there are several thousand fry that are culled and discarded. These JOJG articles discuss the process of raising baby koi into champion fish. KOI CARE If you provide your pond with proper care, many koi health problems can be avoided. These articles discuss topics such as koi food, koi nutrition, and overall koi health. KOI POND CONSTRUCTION All successful koi ponds have a number of key elements in common. One important item is a bottom drain. Another is a koi pond filter that can handle the large amounts of waste produced by healthy koi. 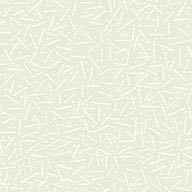 These articles discuss similar topics and more. KOI POND SUPPLIES What kind of koi food should you purchase? Where do you find those hard-to-find items.? These articles discuss topics related to koi pond supplies. GOLDFISH Some serious Japanese gardeners prefer goldfish over koi because they are so much easier to care for. Unlike koi goldfish are relatively small and inexpensive. They are also very hardy and easy to care for.